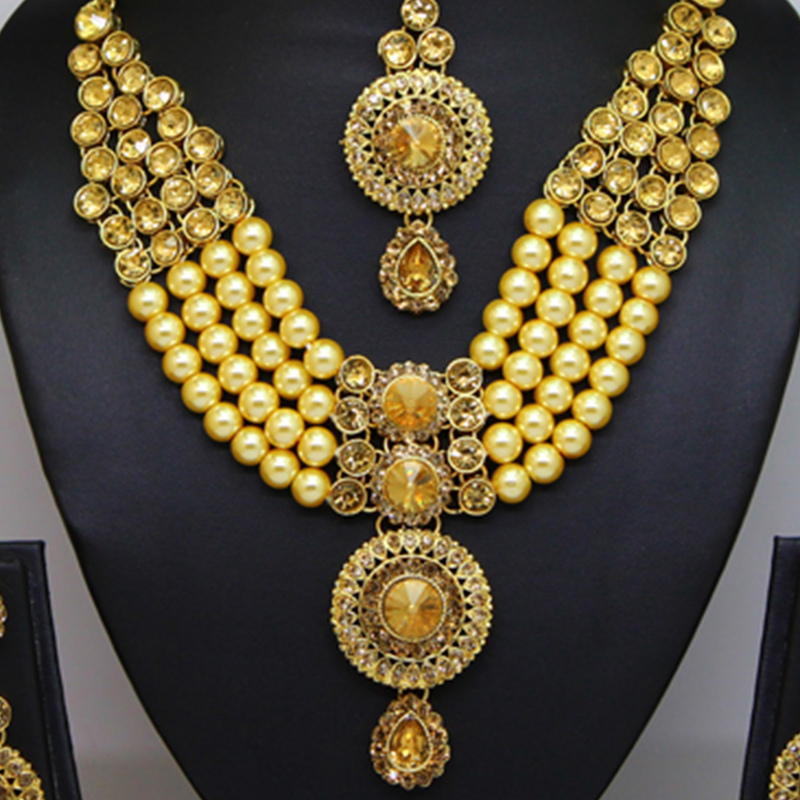 Steal the hearts away with this necklace set is perfect for the next festive occasion. 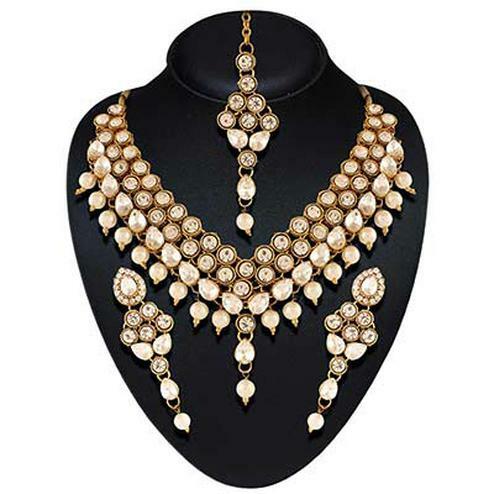 Featuring a beautiful design embellished with stone and pearl work. It is made from high quality material that makes it very skin friendly, anti-allergic and safe for skin. 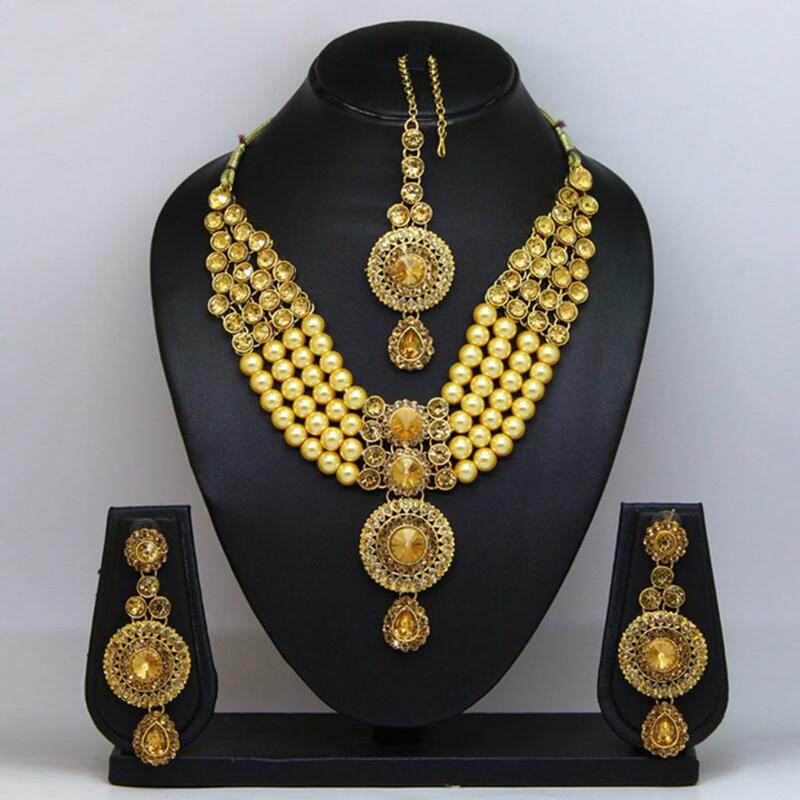 This set include a necklace, earrings and maang tikka which is bound to fetch you many compliments.